Fausto Mesolella, guitar and loop pedal; Ferdinanda Ghidelli, pedal steel. Master Music/JVC XRCD24-NT017. It's an expensive proposition; remasterings such as this one always are. 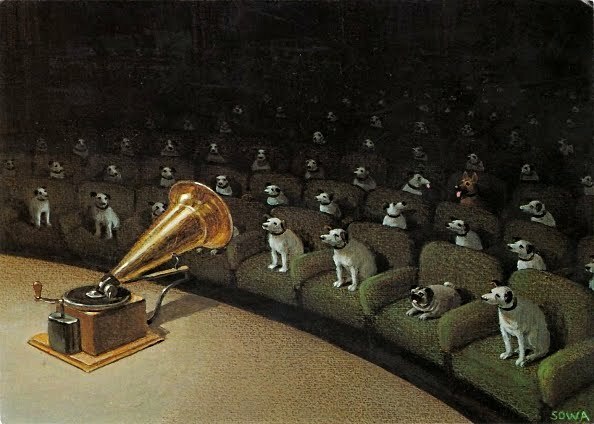 I suspect that the current album might appeal to one or more of four kinds of people: (1) lovers of guitar music; (2) fans of guitarist Fausto Mesolella; (3) folks who simply enjoy pop/jazz musical arrangements; or (4) audiophiles bent on obtaining the best possible recordings for their collection. 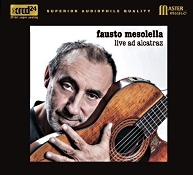 In the case of Fausto Mesolella: Live at Alcatraz, I would further speculate that it's the fourth option that might attract the most attention, since there is already a plethora of guitar music and pop/jazz music at much more reasonable prices and since Mr. Mesolella isn't exactly a household name. But as a purely sonic treat, this JVC XRCD24 isn't bad. 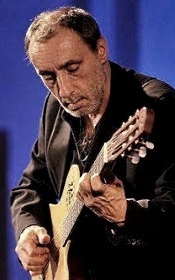 Italian guitarist, composer, arranger, and producer Fausto Mesolella began playing professionally in 1969, winning awards, performing solo as well as with a number of bands, making recordings, and working in his own studio. Here, he plays guitar and loop pedal while accompanied on some of the tracks by Ferdinanda Ghidelli on pedal steel guitar. Incidentally, the Alcatraz of the album's title does not refer to Alcatraz Island in the San Francisco Bay or the famous federal prison once located there. This Alcatraz is a school in Italy. Disappointing, I know. On this live recording, Mesolella plays mostly a fusion of pop and jazz, as I noted above. Mesolella's style is tight yet flexible, providing solid realizations of many old favorite numbers. He never showboats but presents the music with faithfully, with feeling, and on occasion with much intensity. While he may not display quite the virtuosity we find in some celebrated classical guitarists, the music hardly demands it. 1. Mesolella: "Sonatina Improvvisata D'Inizio Estate"
3. Capurro/di Capua: "O Sole Mio"
6. Bottrell/Jackson: "Black or White"
9. Arlen: "Somewhere Over the Rainbow"
If there is any downside to all of this, beyond the relatively high price of the remastered album, it's that there isn't a lot of it at only forty-four minutes. And, for me, there's the business of the live recording, which I don't care for but which I understand many other listeners do. Be that as it may, let me reflect on a few of my favorite selections. The first track, the "Sonatina Improvvisata D'Inizio Estate," is a good example of what's to come. Mesolella's playing is fluid and light, the music wafting over one as airily as a spring breeze. If you're a fan of Franco Zefferilli's Romeo and Juliet, you'll probably enjoy Mesolella's performance of the love theme Nino Rota wrote for the film. It's lovely, breezy, lilting, and enchanting. Although "O Sole Mio" and Piazzolla's tango come off a bit too sentimentally for me, Mesolella's version of John Lennon's "Imagine" appears sweet and appealing without being too cloying. And so it goes. The pedal steel in "Amazing Grace" sounds wonderful in its rich resonance, and Mesolella's version of Harold Arlen's "Somewhere Over the Rainbow" may leave you in tears. A fine album; I just wish there were more of it. A final note on the album's presentation: JVC have packaged the disc in a beautiful, glossy, hard Digipak-type case, with the disc fastened to the inside back and booklet notes bound to the inside. It's unfortunate, though, that whoever translated the notes from Italian into English did such a slapdash job of it. Most of it seems as though an automated translation program did the writing, which is sometimes downright hard to decipher. 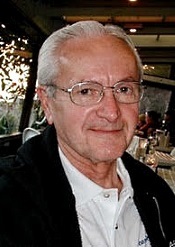 Fausto Mesolella recorded the album live at the University of Alcatraz, Santa Cristina di Gubbio, Italy, in August 2013. Producers Kazuo Kiuchi and Shizuo Nomiyama and engineer Tohru Kotetsu at the JVC Mastering Center, Japan, remastered the original analogue tape in February 2016, using XRCD processing, JVC's K2-24bit AD converter, and a digital K2 rubidium clock. OK, so the first thing we have to get out of the way is the whole subject of live recording. Yes, there is no doubt a certain spontaneity involved in performing in front of an audience, a greater feeling of informality, naturalness, and ease. And for some listeners there is the fun of almost being in the crowd listening to the performance. Nevertheless, it comes with its own burdens: There is always audience noise, and there is the inevitable applause, which erupts before and after every number. For me, it becomes tiresome. For other listeners, it probably adds to the charm of the experience. Beyond the noise, the album sounds terrific. The guitar rings out loud and clear, its vibrations resonating throughout the room in with light, realistic, natural bloom. It is, in short, one of the best guitar recordings I've ever heard. Of course, to obtain such a healthy sound, the engineers have miked the instrument rather closely, so it probably isn't a good idea to play the music too loudly. At the right level, though, this can be some of the best audiophile material available. Berkshire Opera Festival (BOF) proudly announces its second season, featuring a new production of Richard Strauss's Ariadne auf Naxos. Performances will be Saturday, August 26; Tuesday, August 29; and Friday, September 1 at 7:30PM at the historic Colonial Theatre in Pittsfield, Massachusetts. This follows BOF's triumphant inaugural 2016 season, in which its production of Madama Butterfly debuted to widespread acclaim. "Berkshire Opera has been born anew," said Opera News. BOF's General Director Jonathon Loy, who also serves as stage director, remarked, "Brian and I are thrilled with the critical and financial success of Berkshire Opera Festival's inaugural season, and grateful to everyone who helped us achieve it. We're delighted in our second season to present Ariadne. Producing it makes good on our founding mission to explore the entire operatic repertoire and to bring less familiar, magnificent pieces to the Berkshire public." The production is conducted by Artistic Director Brian Garman. "Ariadne accomplishes the very rare feat of being hilariously funny in one moment and breathtakingly beautiful in the next," Garman said. "Our internationally-acclaimed cast will make this a real treat both for people already familiar with the opera and for those experiencing Strauss for the first time." The Music Institute of Chicago's Academy for gifted pre-college musicians collaborates with John W. W. Sherer, organist and director of music at Fourth Presbyterian Church since 1996, for a free performance March 3 at Fourth Presbyterian Church, 126 W. Chestnut Street, Chicago and a ticketed performance March 4 at Nichols Concert Hall, 1490 Chicago Avenue, Evanston, Illinois. Both performances feature Poulenc's monumental Concerto for Organ, Strings, and Timpani in G minor and Bolzoni's Minuet for Strings, conducted by James Setapen, and Mendelssohn's Octet for Strings, conducted by Roland Vamos. "Poulenc's organ concerto, composed in 1938, is a favorite of organists and audiences, combining Poulenc's refreshing sense of wit and fun with his strongly felt religious devotion—a deft combination of the secular and the sacred," said Stetapen, Academy director and conductor-in-residence at the Music Institute. The free March 3 performance showcases Fourth Presbyterian's Aeolian-Skinner Andrew Pipe Organ, Opus 1516, which underwent a rebuilding process beginning in 2012. The March 4 program at Nichols Concert Hall highlights the Music Institute's E.M. Skinner organ, Opus 208, which was fully restored between 2005 and 2007 and celebrated 100 years in 2013. The Music Institute is the only community music school in the region, and one of few in the nation, to offer organ and harpsichord instruction. The Music Institute of Chicago's Academy Orchestra and solo organist John W. W. Sherer perform Friday, March 3 at 7 p.m. at Fourth Presbyterian Church, 126 E. Chestnut Street, Chicago, and Saturday, March 4 at 7:30 p.m. at Nichols Concert Hall, 1490 Chicago Avenue in Evanston. Admission to the March 3 concert is free. Tickets to the March 4 concert are $30 for adults, $20 for seniors and $10 for students, available at musicinst.org/faculty-guest-artist-series or 847.905.1500. All programming is subject to change. 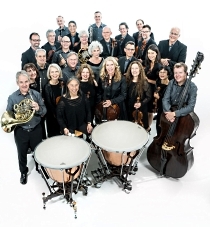 Cal Performances welcomes new music champions Bang on a Can All-Stars to Zellerbach Hall for the Bay Area Premiere of Julia Wolfe's Pulitzer Prize-winning oratorio, Anthracite Fields, on Sunday, February 26 at 7pm. 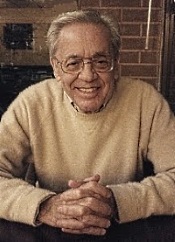 Wolfe's concert-length work, scored for electric sextet and choir, is inspired by the stories of coal-mining families in Pennsylvania at the turn of the 20th century. For the performance, Bang on a Can is joined by Bay Area esteemed new music choir, Cappella SF, directed by Ragnar Bohlin. The Los Angeles Times wrote, Anthracite Fields "captures not only the sadness of hard lives lost...but also the sweetness and passion of a way of daily life now also lost. The music compels without overstatement. This is a major, profound work." Named after the technical term for the purest form of coal, anthracite, Anthracite Fields was developed through Wolfe's extensive research about the coal-mining industry in an area very near where she grew up in Pennsylvania. Wolfe's music is often distinguished by an intense physicality and rhythmic drive, and she freely crosses the boundaries between classical, jazz, rock, world, and experimental music in her acclaimed works. Her text for the 10-movement oratorio draws on oral histories, interviews with miners and their families, speeches, geographic descriptions, children's rhymes, and coal advertisements to create an intimate portrait of a particular slice of American life. Anthracite Fields reflects on who we are, and have been, as American workers, and explores themes of tragedy and loss, camaraderie and endurance, and the simple beauty of the natural world. Composer Julia Wolfe will be joined by Lynne Morrow of Sonoma State University and Pacific Edge Voices for a pre-performance talk that is free to concert ticket holders. Sunday, February 26, 7 p.m.
American Bach Soloists Present "A Weekend in Paris," February 10-13 2017. DePauw School of Music announced that $10 million in scholarship funds will be invested in undergraduate music students over the next five years. The scholarships build on the unprecedented success of DePauw's entrepreneurship-focused 21st-Century Musician (21CM) Initiative curriculum, and their visionary 21CMposium, a cutting-edge conference which features events with industry leaders like Yo-Yo Ma, the Kronos Quartet, Judd Greenstein of New Amsterdam records, author Sarah Robinson and more. Hailed by music writer Greg Sandow as one of the "national leaders of classical music change," DePauw has emerged in recent years as a true innovator in music education. The 21CM curriculum - the first required entrepreneurial curriculum in the country - focuses on cultivating a sense of creativity and flexibility in its students, in order to equip them with the skills, tools and experiences necessary to navigate the rapidly-changing career landscape that awaits them post-graduation. At its core, 21CM represents DePauw's commitment to transforming how musicians think about their art, and how they work together with their fellow musicians and the communities around them. Pianist Shai Wosner will be taking over the Sirius XM Symphony Hall Facebook page starting today, Tuesday, January 24. Over the next few months, he will be regular contributor to the SiriusXM's Classical Music Channel's Facebook. Fans of the page will be able to submit questions to Mr. Wosner, as well as see his own interviews with a range of classical musicians, from fellow pianists Marc-André Hamelin, Orion Weiss, and Anna Polonsky to conductor Tito Muñoz, harpsichordist Mahan Esfahani, and more. 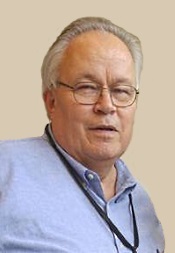 Mr. Wosner will also share personal stories, photos, podcasts, and videos that offer a look into his life and career. Videos will also include "Pianists Not in Cars, Not Getting Coffee," a parody of the Jerry Seinfeld show "Comedians In Cars Getting Coffee." He was recently featured on the Symphony Hall page rehearsing a Mozart concerto via Facebook Live stream. 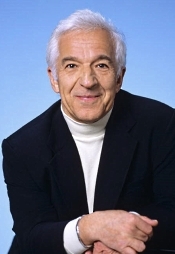 "Klaus Heymann has changed the recording industry and without him it would never have achieved the dynamic it has today, despite all the problems which might exist. Due to his strong vision, his incredible efficiency and his profound love for the music, he became the industry's major player." The award will be formally presented at the ICMA's 2017 Awards Ceremony on 1 April, held at the Leipzig Gewandhaus, at which the winning recordings from this year's 321 nominations will also be announced. Grammy-award winning violinist Joshua Bell enraptures audiences in the National Symphony Orchestra (NSO) Family Concert: Joshua Bell in "The Man with the Violin," premiering Feb. 12 at 2 pm at the Kennedy Center for the Performing Arts, in Washington, D.C. Appropriate for the whole family, the program features sensational music by Prokofiev and Ravel alongside the world premiere of "The Man with the Violin," composed by Anne Dudley. The concert recalls the true story of the world-renowned violinist Joshua Bell, who played anonymously in a Washington, DC. Metro station. Of the thousands who passed by, only a few stopped to listen including a young boy. This world premiere performance invokes the same sense of wonder the boy must have felt when he stopped to listen to incomparable Bell play. The concert is designed for children age 5 and up, and features music performed by the National Symphony Orchestra conducted by Michael Stern, and the violin-playing protagonist of the story himself-- Joshua Bell, bringing together engaging narration and colorful imagery from the book. This innovative world premiere is co-commissioned by the National Symphony Orchestra and Canada's National Arts Centre. Tickets are $29 to $49 and available at The Kennedy Center, https://www.kennedy-center.org; or by phone through instant-charge (202) 467-4600 from 10 a.m. to 9 p.m. daily. The toll-free number is (800) 444-1324. The International Contemporary Ensemble (ICE) and the Park Avenue Armory host an open commemoration of the life and work of Pauline Oliveros on Monday, February 6 from 4:00 p.m. to 9:30 p.m. ICE and the Armory are partnering to welcome the vast network of Oliveros' students, collaborators, and friends into an open set of performances, meditations, storytelling, and Deep Listening. Spaces dedicated to historical audio recordings, film and documentary clips, participatory listening sessions, and cutting edge electro-acoustic performances are open to the public as a free offering of new experiences. For those inspired by Oliveros or who are curious to learn more about her beautiful life and work, the day provides an opportunity to learn, reflect, and listen in the spaces where Oliveros held several Deep Listening sessions during her April 2016 residence as part of the Armory's Artists Studio series in the newly restored Veterans Room. Contributors include Claire Chase and the International Contemporary Ensemble, Either/OR, the New York Public Library for the Performing Arts, Deep Listening Certificate Holders and members of the Center for Deep Listening at Rensselaer, Anagram Ensemble, Ione, and many of Oliveros's longest collaborators. The San Francisco Girls Chorus, led by Music Director Valérie Sainte-Agathe and Artistic Director Lisa Bielawa, continues its 2016-2017 season with performances featuring virtuoso organist Paul Vasile. Making his Bay Area performance debut, Vasile continues an ongoing collaborative partnership with the ensemble, performing in a variety of major liturgical works for treble voices and organ as well as Herbert Howell's rarely performed Psalm Prelude, Op. 32, No 1 for solo organ. "Out of Darkness" will be presented on Saturday, February 25 (Mission Dolores, San Francisco) and Sunday, February 26 (First Presbyterian Church, Oakland), and features works by Brahms, Mendelssohn, Poulenc, Grieg and Pärt. 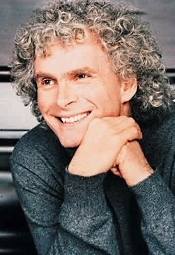 Sir Simon Rattle, City of Birmingham Symphony Orchestra. EMI CZS 5 73983 2 (2-disc set). When many of us think of twentieth-century English composer and pianist Benjamin Britten (1913-1976), no doubt what first leaps to mind are his most-popular pieces: The Young Person's Guide to the Orchestra, the Spring Symphony, and the War Requiem or his operas Peter Grimes, Billy Budd, and The Turn of the Screw. To supplement these standard items, this two-disc rerelease from Sir Simon Rattle (when he was conducting the City of Birmingham Symphony Orchestra) and EMI (now Warner Classics) presents a collection of the composer's early work as well as several pieces from his final period. Much of it is lesser-known material, and I cannot admit to liking all of it equally, but it is certainly a worthy adjunct to the composer's more-famous compositions, and EMI recorded it splendidly. EMI arranged the selections on the discs to accommodate a comfortable concert program rather than offering the music in any chronological order. It begins with An American Overture, which never got performed in Britten's lifetime and only surfaced shortly after his death in 1976. 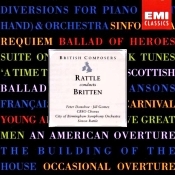 Rattle premiered it with the CBSO in 1983. Next is Ballad of Heroes, a solemn cantata for voice, chorus, and orchestra written in 1939, commemorating the British heroes who fell in the Spanish Civil War. The Diversions for piano and orchestra is a more conventional set of variations, although for Britten typically stark. Praise We Great Men is another late work, incomplete at the composer's death and never played until 1985. Britten based it on a poem by Edith Sitwell. Concluding disc one is probably the most familiar music of this round, the Suite on English Folk Tunes: "A time there was..." from 1974. Although Britten used some melodies from Percy Grainger and dedicated it to the earlier champion of English folk tunes, the tendency of the pieces is more serious than most of the things Granger came up with. Disc Two begins again with an overture, Canadian Carnival from 1939, a series of dances that are among the lightest and easiest listening of the album's fare. The Quatre Chansons Francaises are notable for being among Britten's earliest works, dating from 1928 when the composer was only fourteen. And I liked A Scottish Ballad quite a bit, perhaps because it comes down via more traditional lines than the rest of Britten's output. The program concludes with probably the best-known composition in the whole set, the melancholy Sinfonia da Requiem from 1940, which has a fascinating history, being originally commissioned by Japan to honor one of their dynasties. When the Japanese found that the Requiem had Christian implications, they rejected it, causing a rift that lasted until 1956 when Britten conducted a broadcast performance of the work in Tokyo. I suspect World War II didn't help them reconcile their differences too soon, either. Anyway, Sir Simon and his City of Birmingham players perform all of the music earnestly and affectionately, EMI recording it between 1982 and 1991. The Sinfonia da Requiem may be of special interest to audiophiles because it contains the biggest drum strokes, the widest dynamic range, and the strongest impact of any of the pieces represented. Throughout the recordings one is aware of a realistic stage depth and generally excellent orchestral imaging. There is some congestion, however, at louder climaxes, but it is not excessive enough for most listeners to notice, especially not by those folks concentrating on the music itself. I can easily recommend the set to adventurous music lovers and serious Britten enthusiasts alike, especially now that a few years have gone by, and many retail sites are offering it at a ridiculously low price. Lara Downes, piano. Sono Luminus DSL-92207. 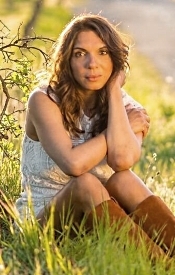 To say that Lara Downes plays the piano is the same as saying Claude Monet painted landscapes. The French impressionist artist Monet's use of color and light created pictures not only of rare beauty but of rare insight. In a similar fashion, American pianist Lara Downes creates poetic musical sketches of times, places, and people that transcend mere notes and draw us into a world of nuanced sounds and feelings. She forces us to see and hear old tunes in a new light. 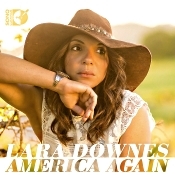 On her current album, "America Again," Ms. Downes takes her inspiration from a poem by the American poet Langston Hughes, "Let America Be America Again." Written in the depths of the Great Depression, the poem criticizes an American Dream never realized by a good number of its citizens and then conveys hope that the Dream may eventually come true for everybody. As Ms. Downes writes, "...we are living again in troubled times. The rifts and rivalries that divide us as a nation seem to run deeper than ever. But still, we dreamers keep dreaming our dream." So, "America Again" is an album of hope, an uplifting desire that we will all come together soon enough and shoulder our mutual responsibility to help one another. Like the Hughes poem, the album is a tribute to the men and women of America who have worked so hard over the years to help America achieve its potential, its Dream. Lara Downes is a Steinway artist whose work exhibits an exceptionally poetic and dramatic presence, easily sustained in this new album. Born in San Francisco of Caribbean and Russian heritage, Ms. Downes began piano lessons at age four. Since making concert debuts at the Queen Elizabeth Hall, the Vienna Konzerthaus, and the Salle Gaveau, Ms. Downes continues to perform on the world's leading stages, including Carnegie Hall, Kennedy Center, and Lincoln Center. She impresses one with her imagination, lyricism, and straightforward, unadorned virtuosity. Lou Harrison: "Waltz in C," "Hesitation Waltz," and "Waltz in A"
Amy Beach: "From Blackbird Hills"
Dan Visconti: "Nocturne" from "Lonesome Roads"
George Gershwin: "I Loves You, Porgy"
Leonard Bernstein: "Anniversary for Stephen Sondheim"
Roy Harris: "Li'l Boy Named David"
Harold Arlen: "Over the Rainbow"
While I shall not try to cover everything, I will tell you about a few of the tracks I liked best. The opening number, Morton Gould's "American Caprice," for example, sets the tone with its sweet, jazzy playfulness, yet Ms. Downes always keeps it within the bounds of serious music. Lou Harrison's little waltzes are wistful, lilting, romantic, nostalgic, and endlessly charming. We all know the traditional American tune "Shenandoah," and Ms. Downes brings to it an added picturesqueness, a truly impressionistic approach. Under Lara Downes's sure-handed guidance, each song takes on its own character, no matter how familiar the material. Samuel Coleridge-Taylor's take on spirituals, "Deep River," is poignant and touching; Gershwin's "I Loves You, Porgy" (in an arrangement by Nina Simone) never sounded more heartfelt; Howard Hanson's waltz-lullaby "Slumber Time" sounds appropriately dreamy but never overtly sentimental; Joplin's "Gladiolus Rag" doesn't jump off the tracks with its early jazz-time verve but remains firmly rooted in the American spirit of aspiration, ambition, and accomplishment. And so it goes, every selection begging one to listen to it again and again. It's a quite magical album. Producer Dan Merceruio and engineer Daniel Shores recorded the music at Sono Luminus Studios, Boyce, Virginia in March 2016. For the technical minded, they made it with Merging Technologies Horus, mastered with Merging Technologies Hapi, and recorded in DXD at 24 bit, 352.8kHZ in Auro-3D 9.1 Immersive Audio using Legacy Audio Speakers. No, I haven't any idea what all that means, either, but the result is extra rich, remarkably clean, and very realistic sound. Like all of the discs I've reviewed from Sono Luminus, this one sounds excellent. The piano is almost literally in the room with us, ringing out clearly yet opulently, with just the right amount of ambient hall resonance to enrich its nature. Insofar as audiophile piano music goes, it's a treasure. 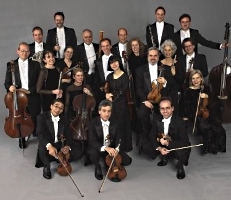 Orpheus Chamber Orchestra today announces programming for its 45th season, with four concerts in Stern Auditorium / Perelman Stage at Carnegie Hall. Orpheus is joined by world-renowned soloists including pianist André Watts; Norwegian cellist Truls Mørk in his first appearance with Orpheus; classical trumpet soloist Tine Thing Helseth in her Stern Auditorium / Perelman Stage debut; and violinist Lisa Batiashvili in her first appearance with Orpheus. As part of Orpheus' on-going American Notes commissioning initiative, two new pieces—by Indian-American jazz pianist and composer Vijay Iyer, and award-winning Chinese composer Shuying Li—are additionally featured next season. Orpheus kicks off its 2017-18 season on Thursday, October 26, 2017 at 8:00 p.m. with the world premiere of Asunder, a new piece by 2013 MacArthur Fellow Vijay Iyer. Additionally, the concert includes Mozart's Piano Concerto No. 9, "Jeunehomme," featuring Grammy award-winning pianist André Watts in his first appearance with Orpheus since 2003, as well as Beethoven's First Symphony. On Saturday, December 2, 2017 at 7:00 p.m., Norwegian cellist Truls Mørk joins Orpheus for the first time playing Shostakovich's First Cello Concerto. The program also includes a world premiere by Shuying Li, inspired by early motherhood's private emotions, entitled Down Came the Sunlight: Into the Twenty-third Day; along with Handel's Orchestral Suite No. 2, Water Music; and Stravinsky's Suite from the ballet Pulcinella. Classical Norwegian trumpeter Tine Ting Helseth makes her Stern Auditorium / Perelman Stage debut with Orpheus on Saturday, February 3, 2018 at 7:00 p.m. and is featured in two works—Albinoni's Trumpet Concerto Op. 9, No. 2, and Bach's Trumpet Concerto in D Major (after Vivaldi), BWV 972. Rossini's Overture to his operatic farce Il signor Bruschino; Haydn's Notturno No. 1 in C Major; and Mozart's dramatic Symphony No. 40 round out the program. On March 24, 2018 at 7:00 p.m., Georgian violinist and Musical America's 2015 Instrumentalist of the Year Lisa Batiashvili is featured with Orpheus for the first time, highlighted in Prokofiev's Violin Concerto No. 2, Op. 63. Additionally, the concert includes Orpheus' first performance of Schubert's Symphony No. 8, Unfinished; Paul Chihara's latest creation for chamber orchestra which expands on Prokofiev's piano transcriptions of waltzes by Schubert; and Schubert's Entr'acte No. 1 from Rosamunde. Subscriptions are available from Orpheus at orpheusnyc.org or (212) 896-1704 beginning Monday, January 9, and single tickets can be purchased at carnegiehall.org or by calling CarnegieCharge at 212-247-7800, beginning August 2017. When a group of 85 choral students at Van Nuys High School began learning about World War II Japanese American incarceration camps in September as part of the Los Angeles Master Chorale's Voices Within Oratorio Project, the topic was a historical look back. Following November's election, with deportations and ethnic registries making headlines, the students found that the topic had become starkly relevant. The resulting 45-minute oratorio they composed called In America poses the question: "Where can I be American; If not in America?" The students will perform In America accompanied by eight members of the Los Angeles Master Chorale at Van Nuys High School at a free community concert on Saturday, February 18 at 2 PM. On Thursday, February 16 they will premiere the piece in front of their fellow students at a full-school assembly. Sunday, February 19 marks the 75th anniversary of President Roosevelt signing Executive Order 9066 that resulted in the forced removal and incarceration of around 120,000 Japanese Americans. The Japanese American community will hold Day of Remembrance events throughout the weekend. Cal Performances celebrates the 70th birthday of longtime collaborator and Berkeley resident, composer John Adams, with a co-commissioned revival of choreographer Lucinda Childs's classic work, Available Light, on Friday–Saturday, February 3–4 at 8pm in Zellerbach Hall, Berkeley, CA. Available Light is set to Adams's impressionistic electronic composition, Light Over Water, and features a striking asymmetrical set designed by architect Frank O. Gehry. Berkeley audiences last saw Childs's now-iconic Minimalist choreography in the revival of Einstein on the Beach in the Cal Performances 2012/13 season; here she returns with her company to explore tensions between simplicity and complexity, patterns and permutations, repetitions and variations, in a work hailed by The New York Times in its 1983 premiere as "a career breakthrough...a work of blazing formal beauty." The performances and surrounding events illuminate the Innovation strand of Cal Performances' 2016/17 season Berkeley RADICAL programming, which joins trailblazing artists at key moments in their careers, and recognizes their lasting contributions to contemporary performance practice. In honoring Adams's 70th birthday with this co-commission, Cal Performances executive and artistic director Matías Tarnopolsky explained, "John Adams is an artist whose impact is global. Any part Cal Performances can play in the development and exposition of his art is fundamental to our mission, vision, and values." Tickets for Friday and Saturday, February 3 and 4 at 8pm in Zellerbach Hall range from $36–$126 and are subject to change. Half-price tickets are available for UC Berkeley students. Tickets are available through the Ticket Office at Zellerbach Hall, at (510) 642-9988, at calperformances.org. American Bach Soloists Present "A Weekend in Paris"
The American Bach Soloists' 2017 subscription season begins with "A Weekend in Paris: Opéra, Ballet, et Chapelle," a program celebrating both highly popular and lesser-known works of the French Baroque. ABS Music Director Jeffrey Thomas conducts performances in the San Francisco Bay Area and Davis, CA from February 10-13, 2017. The concert features the ABS debut of Steven Brennfleck, a much sought after tenor and haute-contre. An alumnus of the 2015 ABS Academy, Steven has performed at many of the country's premier venues, including Carnegie Hall and Tanglewood. "A Weekend in Paris: Opéra, Ballet, et Chapelle," with music by Marais, Rebel, Mondonville, Corrette, and Rameau. Violinist Xi Wang will feature at the Karwendel Artists Gala Concert at Carnegie Hall, Weill Recital Hall, NYC on February 16, 2017 at 7:30 pm. Salon/Sanctuary Concerts is honored to partner with Carnegie Hall's La Serenissima Festival, the Temple Emanu-El Streicker Center, and NYU Casa Italiana Zerilli Marimò in presenting the third annual New York performance of "From Ghetto to Cappella," conceived to commemorate the 500th anniversary of the creation of the Venetian Ghetto. With the generous patrocinio of the Comune di Sabbioneta, "From Ghetto to Cappella" was most recently presented in October 2016 at the 1590 Teatro all'Antica di Sabbioneta, one of three remaining Renaissance theaters in the world and a UNESCO World Heritage Site. In June, the program was performed at the Great Synagogue of Florence, Italy, at the invitation of the Synagogue. While the Inquisition raged throughout Counter-Reformation Italy, the ghetto walls that separated Gentile from Jew were more porous than impenetrable. A lively dialogue between Jewish and Catholic musical cultures traversed the forbidding walls and enriched the music of both Synagogue and Sanctuary at a time of great oppression. An international ensemble performs works of Benedetto Marcello, Francesco Durante, Salomone Rossi, GF Handel and unaccompanied Hebrew chants – exquisite music that attests to a vibrant conversation that triumphed over ignorance and resounds with hope and beauty into our own time. Nine of Tucson's leading arts organizations showcase outstanding vocalists ranging from Broadway favorite Bernadette Peters to dynamic new-music advocate Tony Arnold in the fifth annual Tucson Desert Song Festival from January 18, through February 5, 2017. The soloists will figure in intimate vocal recitals, orchestral and choral concerts, chamber music presentations, fully staged opera and ballet, and lectures and master classes at a variety of Tucson locations. Tickets for individual events are available through each presenting organization: the Arizona Early Music Society, Arizona Friends of Chamber Music, Arizona Opera, Ballet Tucson, True Concord Voices & Orchestra, Tucson Guitar Society, Tucson Symphony Orchestra, UA Presents, and the University of Arizona Fred Fox School of Music. When it comes to Joseph Haydn, nobody does it quite like Nic and Philharmonia Baroque Orchestra & Chorale. Over the years, Nicholas McGegan has established himself as a leading interpreter of Haydn, and always brings out the humor and subtleties in Haydn's music, particularly in the symphonies. He also pays close attention to the little flourishes and details that other conductors may let slip by and makes the most of every movement. That is one of the reasons that Philharmonia Baroque Orchestra & Chorale has done more recordings of the work of Joseph Haydn than any other composer. In fact, PBO's recording Haydn: Symphonies No. 104, "London", No. 88, No. 101 "The Clock" received a GRAMMY nomination for Best Orchestral Performance in 2012. PBO's upcoming January program will include Haydn's Symphony No. 91, which will be recorded for future release. We hope you'll take this opportunity to hear Nic and the Orchestra shine with Haydn in our Haydn & Mozart concert with Elizabeth Blumenstock doing Mozart's Violin Concerto No. 5 "Turkish." Also, Malediction. Alexandre Kantorow, piano; Jean-Jacques Kantorow, Tapiola Sinfonietta. BIS 2100. There are any number of young musicians I've never heard of. 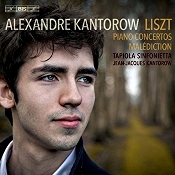 For instance, from the biography of this young pianist, "Alexandre Kantorow was born in 1997. 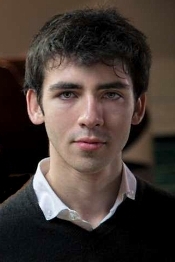 After some lessons with Pierre-Alain Volondat, Alexandre joined the Schola Cantorum in Paris to study with Igor Lazko. He has also received advice from such eminent teachers as Jacques Rouvier, Théodore Paraschivesco, Georges Pludermacher, Christian Ivaldi and Jean-Philippe Collard. Alexandre continues his studies at the Paris National Conservatoire with Frank Braley and Haruko Ueda. He has won several first prizes in international competitions, and has played with orchestras such as the Bordeaux Chamber Orchestra, Orléans Symphony Orchestra and the Kaunas Symphony Orchestra in Lithuania." On the current album, his solo debut with orchestra, Mr. Kantorow plays the two famous Liszt piano concertos and the little concerto "Malediction," accompanied by his more well-known violinist and conductor father Jean-Jacques Kantorow and the Tapiola Sinfonietta. Insofar as concerns these performances being indispensable additions to every classical music lover's library, I wouldn't go so far as to say so; but they are fine, lyrical accounts of the music, with good nuance and excitement. In fact, out of context, one can hardly fault the performances. The problem comes when one compares Kantorow's readings with some of the classic recordings that have gone before. Yes, I know it's unfair to make comparisons, but without them it's simply too hard to tell a good performance from a great one. In this case, after hearing Kantorow's rendition of the First Concerto, I listened to Sviatoslav Richter's version with Kiril Kondrashin and the London Symphony (originally on Philips and now remastered by HDTT); then Alfred Brendel with Bernard Haitink and the London Philharmonic (Philips); and, finally, Leonard Pennario with Rene Leibowitz and the London Symphony (HDTT). Kondrashin is probably still the top-of-the-order, the benchmark by which one must measure all other interpretations, and just a few seconds is all one has to hear to know everything that one needs to know. The Kondrashin performance is majestic, towering, and compassionate, dwarfing all others. Listening again to Kantorow finds him more than adequate but rather smaller, lighter, and more youthful in every way; it's still fun though a whole lot less imposing. Anyway, the program begins with the Piano Concerto No. 1 in E-flat major, S.124, which Hungarian pianist, composer, and conductor Franz Liszt (1811-1886) wrote over a period of some twenty-six years, starting in 1830 and premiering it in 1855. Even though we usually hear it, as here, in three distinct movements--a traditional opening Allegro, a slow Adagio combined with an animated Scherzo, and then an Allegro finale--the movements play like one continuous piece, with variations on common themes throughout. The First Concerto begins in a big, grand manner, in the style of Beethoven, Schumann, Grieg, and Tchaikovsky. Here, Kantorow and company produce an energetic realization, even if the orchestral accompaniment appears more petite than it might sound from one of the larger, major ensembles. Still, this is not a bad thing because Liszt had a modest-sized orchestra in mind, in any case. So, the opening sounds fine, and Kantorow is particularly good in the airier, more songlike parts. Then come his best moments in the Adagio movement, beautifully judged, beautifully realized, sensitive, and affecting. There's a charming freshness to the scherzo section, too, and the whole thing ends with appropriate strength and brio. The Kantorow team chose mostly moderate tempos, but there are times when they speed things up considerably and, conversely, times when things seem to move practically at a standstill. These contrasts do no real harm to the music, but they can be a mite distracting to those used to something more traditional. Likewise, the Kantorows seem to linger longer than usual over certain pauses, which can be momentarily disconcerting. Liszt started writing his Piano Concerto No. 2 in A major, S.125 between 1839 and 1840, putting it away for a decade and not debuting it until 1857, then revising it yet again in 1861. This concerto also sounds like one continuous movement, although Liszt divided it into six separate segments: Adagio sostenuto assai; Tempo del andante; Allegro deciso; Marziale, un poco meno allegro; Un poco meno mosso; and Allegro animato. Kantorow handles it with a deftness of touch, complementing the somewhat chamber-music style of the orchestration. This second of Liszt's principal concertos sounds a little less Romantic and less rhapsodic than the earlier concerto, and, fittingly, Kantorow plays it more spontaneously, yet with a firm direction and considerable feeling. Again, it is in the quieter passages that the pianist seems happiest, his virtuosity always at the service of the score and yielding radiant results. Between the two major concertos, Kantorow plays the little Concerto in E minor "Malediction" (Curse), written by Liszt in 1831, revised in 1840, then put aside and only published in 1915. It's a remarkable work, predating some of Stravinsky's clashing notes, the piano accompanied only by strings. Maybe Liszt thought it was too much ahead of its time when he decided to set it away. Who knows. The main thing is that Kantorow plays it with an entertainingly sinister delight, the piece never reaching any really venomous heights but appearing soulfully malignant just the same. Producer and sound engineer Jens Braun (Take5 Music Production) made the album in 24-bit/96 kHz at the Tapiola Concert Hall, Finland in November 2014. The recording team used Neumann and Schoeps microphones; RME, Lake People, and DirectOut electronics; MADI optical cabling; B&W, STAX, and Sennheiser monitoring equipment; and Sequoia and Pyramix digital audio workstations. They created the album for SACD or regular CD hybrid playback, so one can play it in multichannel SACD or two-channel SACD from an SACD player, or in two-channel stereo from a regular CD player. I listened in two-channel SACD using a Sony SACD player. Except for the piano being too close for my taste, this is one of the best-sounding recordings of the concertos I can remember. The folks at BIS have captured the orchestra with extraordinary clarity and naturalness, wide, transparent, yet not at all bright or hard. The piano, too, appears exceptionally well reproduced, with a full, vibrant tone. But, yes, it does seem well out in front of the orchestra, practically in our laps. Still, it's a small price to pay for a recording as otherwise realistic as this one. American Bach Soloists has been awarded a grant of $20,000 from The Florence Gould Foundation in support of our February 2017 concert set, "A Weekend in Paris." 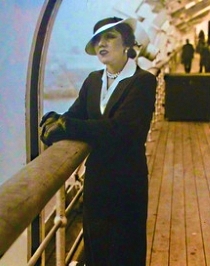 The Florence Gould Foundation, which was founded in 1957 by Florence Gould (pictured right on board the SS Normandie, circa 1935), daughter-in-law of the railway magnate Jay Gould, aims to support French-American relations, especially via the arts. In response to the generous gift, ABS Artistic Director Jeffrey Thomas said, "We are so humbled to receive the support of such a prestigious foundation. It's an honor to have the Foundation's confidence in ABS, especially in what will be an unforgettable night of French Baroque music." In February, "A Weekend in Paris" will offer a tour to the Opéra, the Ballet, and the Chapelle through the elegant music of masters of the French Baroque. When Jean-Baptiste Lully's monopoly on music in France ended at the end of the 17th century, an explosion of musical creativity erupted in Paris from a new generation of composers including Marais, Rebel, Corrette, Mondonville, and the great master of the age, Jean-Philippe Rameau. Featuring a selection of enchanting works for the Opéra, Ballet, and Chapelle, Thomas and ABS explore the vibrant Parisian spirit of invention, including its incorporation of new, cosmopolitan influences from abroad. The Italian style, especially, is evident in these works, as evidenced by Corrette's Laudate Dominum, which includes an interpolation of Vivaldi's "Spring" from The Four Seasons arranged for choir, vocal soloists, and orchestra. Unison Media is excited to announce Season 2 of its acclaimed concert series The Crypt Sessions, featuring intimate classical music and opera performances in the remarkable Crypt chapel underneath the Church of the Intercession in Harlem. The season will begin February 1, 2017 with pianist Lara Downes performing a program remembering her father and his Harlem childhood, while also paying tribute to the many artists who made Harlem their home and inspiration. Taking place on both the first day of Black History Month as well as the birthday of Harlem Rennaisance poet Langston Hughes, the concert will feature a world premiere by composer/violinist Daniel Bernard Roumain, music from Downes' new album America Again by Duke Ellington, Billie Holiday, Florence Price, Nina Simone, William Grant Still, and a spoken word tribute to Hughes by poet and NEA Fellow Joshua Bennett. Each Crypt Session will feature a pre-concert reception included in the ticket price, where Magnvm Opvs will host a tasting of wines specially chosen to suit the music of that evening's concert, and Ward 8 Events will provide hors d'oeuvrses similarly tailored to the wine and the performance. All proceeds from ticket sales of The Crypt Sessions are donated to the Church of the Intercession, where the crypt is located. Unison Media gave over $10,000 to the church over the course of Season 1. The International Contemporary Ensemble (ICE) continues to transform the way music is created and experienced throughout January. For its next installment of free OpenICE initiatives, on Monday, January 23 at 8:00 p.m., ICE returns to the Abrons Arts Center's Underground Theater in a rare performance of renowned German composer Wolfgang Rihm's hour-long string trio Musik für Drei Streicher. An oblique tribute to Beethoven's late quartets, Rihm's 1977 work remains among the most ambitious in the string trio literature, relentless in its hyper-romantic expressivity and technical demands, "an unfathomable, clear, confused and passionate music, music that is precise and astonished, like human existence." Launched in 2015, OpenICE continues to develop, engage, and sustain diverse 21st-century listeners through an outpouring of free artist-driven programming that is open to the public. The program serves a wide range of constituencies, ranging from those with limited access to the art form to students of all ages and backgrounds. 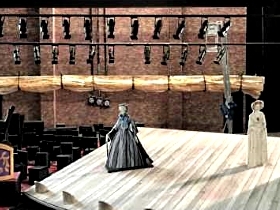 Through its partnership with the Abrons Arts Center, the performing arts wing of the Henry Street Settlement, OpenICE brings every aspect of the ensemble's artist-curated and ensemble-commissioned music-making—including performances, digital documentation, workshops, hands-on educational activities, and in-person interaction with the composers—into the open for the benefit of new audiences. On Thursday, January 19 at 6:00 p.m. at the Performing Arts Branch of the New York Public Library, ICE is joined by composer Ashley Fure in an exploration of two of her works: Therefore, I Was for cello, piano and percussion, and Shiver Lung Two. The interactive evening--the third in a series of events at the NYPL which focus on a single composer--allows the audience to participate and ask questions about Fure's compositional process. The event will be recorded as part of an on-going effort to collectively build archives and documentation for composers. ICE collaborates with other leading musicians and ensembles on Friday, January 20 at 7:00 p.m. at the DiMenna Center for Classical Music as part of the Anti-Inaugural Ball, a fundraiser in response to the current political climate, where attendees are encouraged to donate to their preferred social activist organizations. In addition to a performance by ICE, participating artists include Phyllis Chen, Jordan Dodson, ETHEL, Flor de Toloache, Flutronix, Gemini, JACK Quartet, Darius Jones, Loadbang, So Percussion, Adam Tendler, with dancing provided by DJ Robert Maril. Cal Performances celebrates the 80th birthday of composer Steve Reich with the U.S. premiere of his new work, Runner, a Cal Performances co-commission, on Sunday, January 29 at 7 pm in Hertz Hall, University of California, Berkeley, CA. Reich visits Cal Performances with New York's Ensemble Signal, which has performed and recorded his works to great acclaim. The program also includes Reich's Pulitzer Prize-winning Double Sextet (2007), and the recent works Quartet (2013) and Radio Rewrite (2012). Reich himself will join Ensemble Signal's director and conductor, Brad Lubman, for a performance of his seminal 1972 work, Clapping Music. The performance and residency events are part of the Cal Performances 2016/17 Berkeley RADICAL Innovation thematic strand, which follows a group of artistic trailblazers, some celebrating key milestones, who continually ask us to perceive, think, and understand in new ways. Tickets for Ensemble Signal on Sunday, January 29, 2017 at 7pm in Hertz Hall range from $36-$126 (prices subject to change). Half-price tickets are available for UC Berkeley students. Tickets are available through the Ticket Office at Zellerbach Hall, at (510) 642-9988, at calperformances.org, and at the door. For more information about discounts, go to calperformances.org/discounts. One Found Sound, a chamber orchestra that performs without a conductor, concludes its 2016-2017 season on Friday, February 3 at Heron Arts with a program of works by Debussy, Ravel and Respighi. Committed to highlighting the individual talents of musicians from within the orchestra, One Found Sound will feature Sasha Launer (flute), Jeannie Psomas (clarinet) and Meredith Clark (harp) with string quartet in Ravel's chamber work Introduction and Allegro. The program also includes Respighi's Ancient Airs and Dances, Suite No. 1, a Renaissance-inspired orchestral work that incorporates the unique instrumentation of harpsichord, and an orchestral version of Debussy's Petite Suite for Piano four hands, transcribed by the composer's colleague Henri Büsser. This performance coincides with a solo exhibition of works by local artist Scott Hove entitled "Cakeland," which launches at Heron Arts on January 14. Music For Life International continues its decade-long tradition of global humanitarian concerts at Carnegie Hall by presenting Mahler For Vision, a benefit concert of Gustav Mahler's monumental Second Symphony "Resurrection" on Monday, February 13, 2017 at Carnegie Hall's Stern Auditorium/Perelman Stage. The concert aims to promote the restoration of vision to millions around the world affected by treatable cataract blindness on the most prestigious concert stage in the world. The net proceeds of Mahler For Vision will benefit HelpMeSee's unique efforts to end preventable cataract blindness and to preserve and enrich the dignity of those affected through the innovative use of cutting-edge technology and transformative socio-economic models for distributing these critical public health services. 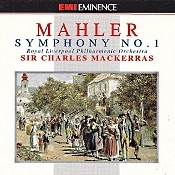 The performance (the only performance of Mahler's Second Symphony at Carnegie Hall during the 2016-17 season) is the culmination of the Music For Vision series of concerts in the Netherlands and Mumbai and Delhi, India, which has highlighted the issue of cataract blindness on three continents. The performance will be conducted by Singapore-born, Indian conductor and Music For Life Artistic Director, George Mathew, and will feature renowned American violinist, Elmira Darvarova (the first woman ever to serve as Concertmaster of the Metropolitan Opera Orchestra in New York); distinguished soprano Indra Thomas; and mezzo-soprano Susanne Mentzer, a familiar voice to New York audiences from more than thirty years of iconic performances at the Metropolitan Opera and the concert stage. Program: Gustav Mahler: Symphony No. 2, "Resurrection"
The Music Institute of Chicago announces an additional Chicago teaching campus, broadening its network of locations to eight in the Chicago metropolitan area. The 87-year-old institution, which serves more than 2,000 students of all ages and ability levels, has entered into a partnership with St. James Cathedral, located at 65 E. Huron Street in the heart of one of the nation's busiest urban environments, just one block from "The Magnificent Mile." Beginning January 30, the Music Institute will offer lessons Monday–Saturday at the new location, expanding its city-based activities beyond programming in the Chicago Public Schools and lessons at Fourth Presbyterian Church's Gratz Center. Immediate opportunities for instruction at the St. James location, home of the well-known Rush Hour Concert Series, will include piano, violin, flute, French horn and harp lessons, with cello and voice to follow. Music Institute Trustee and Chicago resident David Heroy said, "Downtown residents have struggled with access to the Music Institute's excellent programs for many years. Now music students and enthusiasts will benefit from the Music Institute's increased presence at multiple Chicago locations." "Our partnership with St. James Cathedral, a musical powerhouse in its own right, allows the Music Institute of Chicago to reach more students who are hungry for music education," commented Music Institute President and CEO Mark George. "That's why we welcome all students, including beginners and casual players, as well as advanced musicians." For more information, visit musicinst.org/fun or call 847.905.1500. Premieres January 27-29 @ Nashville Opera; June 15-18 @ Brooklyn Academy of Music. Developed in AOP's Composers & the Voice and First Chance programs. Tickets for the January world premiere are on sale at www.nashvilleopera.org. Premieres April 29-May 7 @ Pittsburgh Opera. For tickets and details see www.pittsburghopera.org. Complete info can be found at www.urbanarias.org. Fort Worth Opera Launches Exciting Free Event "Opera Unfiltered"
Fort Worth Opera (FWOpera) kicks off the New Year with the unveiling of a hot new event on January 26, 2017, at Wild Acre Brewing Company, entitled "Opera Unfiltered." Remaining true to the forward-thinking mission of the company, Opera Overture, a popular highlight of our Festival season, is expanding into a new event called "Opera Unfiltered." Stepping out the art museum and into the brewery, FWOpera's seasonal preview has evolved to capture the raw spirit of the occasion. Designed to highlight and explore the inspiration behind our "Opera Unbound" selections, FWOpera will now present the event free of charge to the public in unique, trendy spaces throughout the city. The title may have changed, but the innovative essence remains the same, as we feature an in-depth discussion with the creative team of our 2014 Frontiers showcase winner Voir Dire. Written by composer Matthew Peterson and librettist Jason Zencka, this explosive new courtroom opera features grisly, firsthand accounts of real-life cases documented by Zencka as a crime reporter in a Wisconsin courtroom. Festival audiences will find themselves transported back and forth in time, as the narrative flits between macabre legal cases and harrowing flashback scenes of the crimes themselves. Voir Dire's "Circus of the Law" taps into pop culture's enduring fascination with true-crime tales of unspeakable depravity, and its title refers to a French phrase that describes the preliminary questioning of prospective jurors by attorneys and a judge, to determine whether or not they will be biased in their decision making. Celebrated director David Gately will be on hand to discuss the intricate process of developing the piece from the page to the stage, and fashion stylist|costume designer Meredith Hinson will give audiences a unique view into the creative methodology behind her designs. Stars from Voir Dire, who are also part of FWOpera's prestigious Hattie Mae Lesley Apprentice program, (soprano Christina Pecce, mezzo-soprano Anna Laurenzo, baritone Trevor Martin, tenor Andrew Surrena) will perform selections from the new composition, joined by bass-baritone Nathan Mattingly as Judge Dodsworth. For opera lovers in North Texas, this is the perfect opportunity to gain an insider's perspective of this new work before it receives its world premiere on April 23, as part of the 2017 FWOpera Festival. Various composers and artists. Decca 289 470 780-2 (2-disc set). Compilations and more compilations. The classical music industry has been living off its old catalogue for quite a few years now, which in some cases is a bargain for the music collector who needs to have everything. 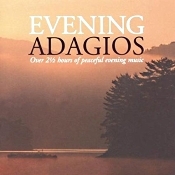 The two-disc set under review is from Decca in its "Adagio" series from 2001, this one called "Evening Adagios." They released a slew of other such collections around the same time titled things like "Romantic Adagios," "Violin Adagios," "Vivaldi Adagios," "Movie Adagios," "Baroque Adagios," and on and on, all of them two disc sets and mid-priced, culled from Decca's back stock of big-name players. There's certainly a lot of beautiful music one can listen to here, and one can hardly quibble about the performances, with artists like Vladimir Ashkenazy, Arthur Grumiaux, Pascal Roge, Pepe Romero, Radu Lupu, Frederick Fennell and the Eastman-Rochester Orchestra, Neville Marriner and the Academy of St. Martin in the Fields, Charles Dutoit and the Montreal Symphony Orchestra, Jeffrey Tate and the English Chamber Orchestra, I Musici, Sir Colin Davis, Riccardo Chailly, Karl Munchinger, Istvan Kertesz, and many more doing the music-making. To name just a few of the thirty items represented on the discs, there are the usual suspects: Debussy's Claire de lune, Barber's Adagio for Strings, Mascagni's Intermezzo, Faure's Pavane, Saint-Saens's The Swan, Chopin's Nocturne No. 2, Bach's Air on a G String, Elgar's Sospiri for Strings, Beethoven's Moonlight Sonata, and so forth through thirty selections and a total of 151 minutes. Apparently, Decca meant their interpretation of "adagio" in the broadest sense; that is, any slow, leisurely movement, as the composers of many of the items included in the set actually called them Andantes, Nocturnes, Andantinos, Largos, and the like. But a rose by any other name, they're all lovely and make for pleasant, easy listening. Decca cleaned up and prettified all the sound, homogenized it some would say, despite the fact that some of the numbers date back to the Fifties. In fact, Mercury originally recorded the opening piece, Claire de lune, back in 1959. It doesn't have quite the open airiness of the Mercury and HDTT remasters, but it does blend right in with the digital efforts from as late as 1999. While I wouldn't call it audiophile sound, and one can certainly hear better sound in individual cases, the relatively relaxed nature of it does compliment the music. The whole collection, in fact, features clear, smooth sound, and I should imagine that's all that matters in this kind of material. The performances are generally beyond reproach. 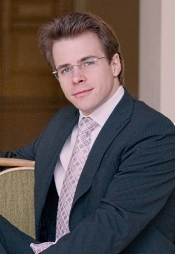 Jakub Hrusa, PKF-Prague Philharmonia. Pentatone PTC 5186 532. Antonin Dvorak (1841-1904) was a Czech composer. The PKF-Prague Philharmonia is a Czech orchestra. 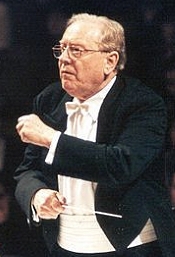 Jakub Hrusa is a Czech conductor. Pentatone recorded the music on the present disc in SACD multichannel and regular stereo. All well and good, and together they would seem to be a perfect match of music, orchestra, conductor, and sound. Let's start with the music. The disc under review contains five of Dvorak's overtures, which are really not so much overtures as they are small symphonic poems. These five include In Nature's Realm, the Carnival Overture, and the Othello Overture, all three comprising a trilogy Dvorak called "Nature, Life and Love," which he originally intended be played as a single unit. In addition, we have My Home and the Hussite Overture. The thing is, however, Dvorak wrote thirteen such overtures or tone poems, and here we get only five of them. The ones I tend to like best are those with a more-sinister tone, the ones dealing with old folk stories and children's tales. Things like The Noon Witch, The Water Goblin, The Wild Dove (also known as The Wood Dove), and The Golden Spinning Wheel. For those, however, you'll have to look elsewhere. The ones we get from Hrusa are for the most part the tamer, calmer pieces. Which is perhaps a part of the problem because Maestro Hrusa doesn't do a whole lot to make them any more interesting with his rather tame, subdued approach. Nor does a rather tame, subdued recording help much. For more energetic, colorful, and characterful presentations of Dvorak's tone poems, I suggest that listeners might audition the recordings by Nikolaus Harnoncourt and the Concertgebouw Orchestra on Warner Classics, Sir Simon Rattle and the Berlin Philharmonic on EMI or Warner Classics, Istvan Kertesz and the London Symphony Orchestra on Decca, or Rafael Kubelik and the Bavarian Radio Symphony Orchestra on DG. Not that there is anything manifestly wrong with Hrusa's performances, but the aforementioned conductors bring an extra degree of life to Dvorak's music. for him, further heightening the music's rustic charm. For me, while the interpretation lacked the ultimate in musical delineation, it was the best thing on the program. In the Carnival Overture Dvorak meant to represent the revelry of the carnival season before Lent, with its crowds of merrymakers and its bustle of excitement. Hrusa opens the work in high good spirits and then keeps it going most of the way with a well-judged lyrical energy. Toward the middle, though, he seems to abandon the sprightliness of the earlier sections before returning to the vigor of the opening. The Othello Overture takes its inspiration from Shakespeare's tragic play, and the music is just that: theatrical, doleful, melancholy, and expressive. Hrusa points up the sorrowful angle pretty well but never appears to connect on the purely demonstrative level of the Bard's words. Again, one finds the dramatic contrasts less sharp, less marked than one might want. It's all a tad too mild, maybe too polished, for the emotional charge needed. My Home, commissioned as the prelude to a play that has since fallen by the wayside, lives on as a lilting, often patriotic stand-alone piece. Hrusa navigates the quieter passages in lovely fashion and generates a modest amount of tension as the music picks up steam. Nevertheless, it doesn't quite have one standing up and cheering. Finally, Dvorak based the Hussite Overture on the story of Jan Hus, burned at the stake as a heretic in 1415, an incident that spurred his followers into conflict with the Catholic Church, which eventually conceded to the Czechs the right to adopt some of Hus's teachings in their religious practices. The music uses some traditional Czech liturgical songs, and it sounds largely dark and stern. By this time in the album, I was getting used to Hrusa's conservative approach to matters, so everything seemed about right to me in the dark and stern departments. I just never found anything very interesting, animating, or stimulating about it. Pentatone enclose the disc case in a light-cardboard slipcover, so you know it's a prestige product. I'm sure there are practical reasons for so many CD's, DVD's, and Blu-rays coming in slipcovers, but I've never figured them out. I guess for protection, or mostly for appearance? I almost always wind up throwing the slipcover away. Producer Job Maarse and engineers Erdo Groot and Roger de Schot recorded the overtures at the Forum Karlin, Prague, Czech Republic, in January 2015. They created it for SACD two-channel and multichannel formats for playback on SACD players and for regular two-channel stereo playback on any standard CD player. I listened in the two-track SACD format using a Sony SACD player. There is a pleasant ambient glow from the hall that the engineers captured well. The miking appears moderately distanced compared to a lot of today's recordings, so expect a slightly softer, rounder, smoother sound than you may care for, with a bit narrower stereo spread than usual. Otherwise, like the performances, the sound appears somewhat restrained, with decent but not exceptional dynamics and frequency range. Let's say it's fairly natural, easy listening sound, just the kind that complements the more relaxed items on the agenda. Orpheus Chamber Orchestra presents a concert joined by Ukrainian-born Israeli violinist Vadim Gluzman on Saturday, February 4 at 7:00 p.m. in Stern Auditorium / Perelman Stage at Carnegie Hall, NYC. Gluzman is featured in Tchaikovsky's Violin Concerto, performing on the same 1690 'ex-Leopold Auer' Stradivarius for which the iconic concerto was originally composed. While the legendary Leopold Auer performed in various concerts at Carnegie Hall, this concert marks the first time that Tchaikovsky's Violin Concerto will be performed at Carnegie Hall on this storied instrument, which is on extended loan to Mr. Gluzman through the generosity of the Stradivari Society of Chicago. The concert additionally includes the New York premiere of Michael Hersh's end stages, inspired by the artist Kevin Tuttle's sketches that process the impacts of physical illness and mortality. Also on the program is Mendelssohn's Third Symphony, "Scottish." The program premieres on Sunday, January 15 at 7:00 p.m. at Artis-Naples in Naples, Florida, and repeats on Monday, January 16 at 2:00 p.m. at the Kravis Center for the Performing Arts in West Palm Beach, Florida; on Thursday, January 19 at 7:30 p.m. at the Thomasville Center for the Arts in Thomasville, Georgia; on Friday, January 20 at 8:00 p.m. at The Schwartz Center for the Arts in Atlanta, Georgia; on Sunday, January 22 at 4:00 p.m. at Mechanics Hall in Worcester, Massachusetts; on Friday, February 3 at 8:00 p.m. at the Williams Center for the Arts at Lafayette College in Easton, Pennsylvania; and on Sunday, February 5 at 3:00 p.m. at The Performing Arts Center at Purchase College in Purchase, New York. Subscriptions for Carnegie Hall concerts can be purchased by visiting orpheusnyc.org or calling (212) 896-1704. Single tickets for the Carnegie Hall performance, priced at $12.50 - $110, are available for purchase at the Carnegie Hall Box Office, at 57th and Seventh, or can be charged to major credit cards by calling CarnegieCharge at (212) 247-7800 or by visiting the Carnegie Hall Web site at carnegiehall.org. Berkeley Symphony announced that Music Director Joana Carneiro has withdrawn from the Berkeley Symphony concert on Thursday, January 26 at 8 pm at Zellerbach Hall. Carneiro is pregnant and is under doctor's advice not to conduct or travel. The concert will be conducted by Christian Reif. The Orchestra will perform the Bay Area premiere of Mason Bates's Cello Concerto with Joshua Roman, to whom the work is dedicated, and Beethoven's Symphony No. 4. Well-established as a presenter of major contemporary orchestral works, Berkeley Symphony continues its steadfast commitment to presenting original and unique programs with new music commissioned by living composers, many of whom have developed an ongoing creative and collaborative relationship with the Symphony. In addition to the December U.S. premiere performance of Sir James MacMillan's Symphony No. 4, and the Bates Cello Concerto, the Orchestra also performs Shostakovich's epic Symphony No. 13, "Babi Yar", with bass Denis Sedov and alumni of choruses including the UC Berkeley Chamber Chorus, the Pacific Boychoir Academy, and members of the St. John of San Francisco Russian Orthodox Chorale, led by Marika Kuzma. Since its 1979-80 season, Berkeley Symphony has performed 65 world premieres, 28 U.S. premieres, and 21 West Coast premieres. In recognition of its leadership in commissioning and creating new music, the Orchestra has received the prestigious ASCAP Adventurous Programming Award in 10 of the past 13 seasons. In December, Berkeley Symphony and composer Anna Clyne were awarded a three-year Music Alive grant for a composer residency, one of only five U.S. orchestra-composer pairings selected by New Music USA and the League of American Orchestras for the honor. The residency is designed to involve Clyne in a far-reaching, immersive collaboration with Berkeley Symphony, involving the creation of new work, collaboration with other Berkeley arts institutions, music education, community outreach and multidisciplinary activities. Tickets for the Berkeley Symphony concert January 26 are priced at $15 to $74 and are available by phone at (510) 841-2800, ext. 1or at www.berkeleysymphony.org. On February 19, 2017 at 1PM, Distinguished Concerts International New York (DCINY) will present 'The Glory of Freedom' at Carnegie Hall's Stern Auditorium/Perelman Stage coinciding with President's Day Weekend. Guest Conductor Lee Nelson will conduct Randall Thompson's The Testament of Freedom in honor of President's Day. Featured performers include the West Point Alumni Glee Club, an ensemble consisting of retired West Point graduates. The Testament of Freedom was written to celebrate the bicentennial of the birth of Thomas Jefferson and to acknowledge his role in founding the University of Virginia. Since then, the work's dramatically soaring, hymn-like melodies and compelling harmonic structure set atop the Founding Father's stirring prose has made it a staple of the male chorus repertoire. Its premiere was 71 years ago at Carnegie Hall, on April 14, 1945 as part of a concert in memory of Franklin D. Roosevelt, who had died two days earlier, making it all the more appropriate to have the work performed on President's Day Weekend so many decades later. Dr. James Mick, director of the Rochester Philharmonic Youth Orchestra, will lead a program including works by Wagner, Mahler, Marquez and others. Additionally, Erin Freeman makes her DCINY conductor debut as she leads the Distinguished Concerts Orchestra and Distinguished Concerts Singers International in a performance of Poulenc's Gloria. Sony Classical exclusive recording artist, Emanuel Ax is a pianist of exceptional faculty both in technique and musical feel. The San Francisco Chronicle puts it well, stating, "One of Ax's great strengths as a performer, in fact, is his ability to blend tenderness and muscle in a single amalgam." Join us one hour prior to curtain for a pre-concert lecture in Privé presented by Dr. John Palmer, Associate Professor of Music History, SSU. Celebrating his final season as the host for A Prairie Home Companion, Garrison Keillor shares hilarious anecdotes about growing up in the American Midwest, the people of Lake Wobegon and "late-life fatherhood." With a wonderful, dry sense of humor, Keillor captivates audiences using his unique blend of comedy, class, charisma, wisdom and music. As you may know, our Berkeley, California home, First Congregational Church, suffered extensive fire damage last fall and the groups who use the facility to perform concerts have been looking for temporary homes for the 2017 season. Many people, including the staff of First Congregational, had hoped to be back in the facilities by now, but that is not the case. So, for the 2017 winter and spring season, American Bach Soloists have moved their performances across the street to First Presbyterian Church (2407 Dana Street, Berkeley, CA). We have every hope that we will return to First Congregational in 2018. We are grateful to First Presbyterian Church for opening their doors to us, we are especially supportive of the congregation and staff of First Congregational Church during this difficult period, and we are grateful to you for your understanding in this endeavor. On Sunday, January 15, 2017, the Grammy nominated, Boston-based ensemble, College New Music will perform the second program of its 45th season. The evening will feature three Boston premieres and long-time, local favorite, soprano Janet Brown, who sings two works, Daniel Strong Godfrey's Juliet at her Window, an endearing expression of Juliet's lonely pathos, and Marjorie Merryman's Elegiac Songs, eloquent settings of two Louise Glück poems, songs she composed in memory of her husband, composer Edward Cohen. At the heart of the concert is the intricate and undoubtedly heady The Nick of Time, one of the last works of Boston's Seymour Shifrin. Two reflections on Stravinsky's Rite of Spring frame this bountiful program-Gordon Beeferman's muscular Rites of Summer and Carl Schimmel's optimistic rite. apotheosis. A Lecture/Demonstration with Corina Marti of the Schola Cantorum Basiliensis; Corina Marti, recorders and clavisymbalum. Corina Marti, multi-instrumentalist, faculty member of Schola Cantorum Basiliensis and co-Artistic Director of Ensemble La Morra, opens a window onto the seldom viewed musical holdings of the Vatican Library, including selections to be performed in the January 12th concert, "Of Meistersingers and Mizmorim," with musical demonstrations on the double flute, recorder, and clavisymbalum. PBO News: Who Was Adalbert Gyrowetz? This month, Philharmonia Baroque Orchestra will perform works by Haydn, Mozart and....Gyrowetz. If you've never heard of him, don't feel too bad. You're not alone. Adalbert Gyrowetz was a contemporary of Haydn and Mozart and knew them both personally. He composed over 170 works of music during his lifetime. Much of it was influenced by his pals but none of it seemed to live past the Classical era itself. Joseph Haydn is universally recognized for creating the symphonic form. You can clearly hear Haydn's influence on Gyrowetz's Symphony Op. 6 No. 3. PBO will perform this piece, as well as Haydn's Symphony No. 91. As we all know, Nicholas McGegan understands and intreprets Haydn exceptionally well. So how will it sound when Nic interprets Gyrowetz too? It will be fun to find out. At his peak, Gyrowetz rubbed elbows with great composers, high society and even royalty but he will never be a household name. Bruce Lamott digs deeper into this "Zelig" of music history in his intriguing new blog article. While we can't make him a household name, PBO is proud to give Adalbert Gyrowetz his due when Nic and the Orchestra perform his work this January 25-29. If you don't already have tickets, don't miss this rare chance to hear the work of this nearly-forgotten composer. We'll throw in some great works by his pals Haydn and Mozart while we're at it, too. Experience the cutting edge of opera with OPERA America's New Opera Showcase, an evening of orchestral readings of new and recently premiered operas including current AOP operas-in-development Before the Night Sky by composer Randall Eng and librettist Donna Di Novelli, and Rated R for Rat by composer/librettist Wang Jie.